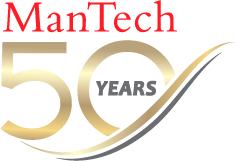 View the associated ManTech TV video here. Imagine you’re a soldier, injured in combat in Afghanistan, sent back to Germany – then the United States. Along the way, you’re generating an enormous number of healthcare records. These healthcare records are distributed, hard-to-find, and in some cases are even needlessly duplicated. Interoperability issues among the various health IT systems, which are compounded by privacy (and patient confidentiality) concerns. So what’s the impact on your healthcare? Incomplete or inaccurate medical records that can delay, if not prohibit proper treatment. The Department of Defense (DoD) and the Department of Veterans Affairs (VA) have a complexity problem with their healthcare records. They have large-scale geographically dispersed healthcare systems, treating a highly mobile patient population. The DoD alone spends $50 billion annually on healthcare to support 9.4 million beneficiaries worldwide. For its part, the VA alone houses more than 22 million patient records. Better data management that integrates all relevant patient data into one secure record could increase healthcare record accuracy and speed service delivery. ManTech’s solution to this problem is to bring in blockchain technology to help securely locate patient data, determine its provenance, identify any duplicate data, and provide a better consent model. As a secure ledger system, blockchain technology could aggregate and validate the integrity of critical patient data as it moves from the field hospital, to the base hospital, to the rehabilitation center, to the local pharmacy. As importantly, it could simplify and improve health IT interoperability among the various hospital systems – both military and civilian – that require timely access to a patient’s data. Blockchain is already being used in the commercial world and in the civilian sector, including in agencies such as the Department of Health and Human Services (HHS) and the Centers for Disease Control (CDC). So we at ManTech believe it’s now ready for the DoD and the VA to embrace blockchain to help solve some of their data problems as well.